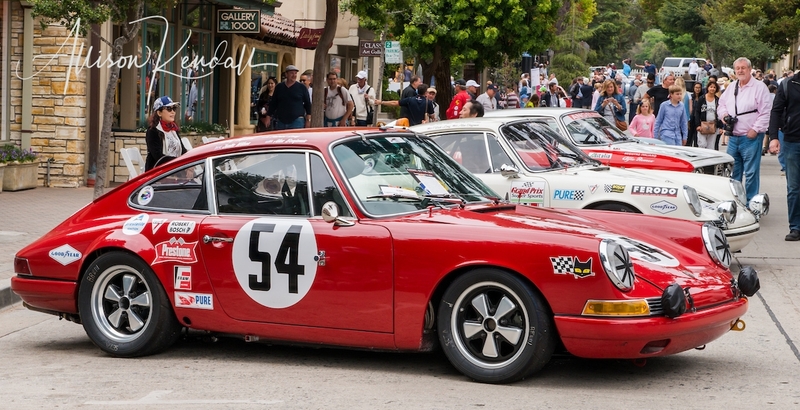 It is that time of year again, with the rumble of engines and smell of race fuel filling the air, the automotive extravaganza known as Monterey Car Week is almost here. I will not be attending the various racing and vintage car show events this year, but I am honouring the occasion with the release of some of my favourite automobilia images from over the years. Find more Monterey Car Week photographs in my archives, with work spanning a decade of races and Concours shows; with both prints and licensing available. Looking for some artful Automotive Abstract images? I have curated a collection highlighting the details of a wide range of cars, from vintage Porsches and Ferraris to unique hot rods and restoration projects. My automotive photography archives cover historic and reunion races, street car shows, and both the Pebble Beach and Carmel Concours events; if there is a particular car you are looking for, please contact me with the details and I will do my best to see if it is included in my library. A rear angle view of a vintage racing automobile, abstract patterns of light gleaming across the curves of the blue body. The complete APK Photography Automobilia Archives are full of unique and interesting car culture photos. It has been a pleasure to explore and photograph the world of rare and notable automobiles, and I am looking forward to returning to celebrate Monterey Car Week again in the coming years.